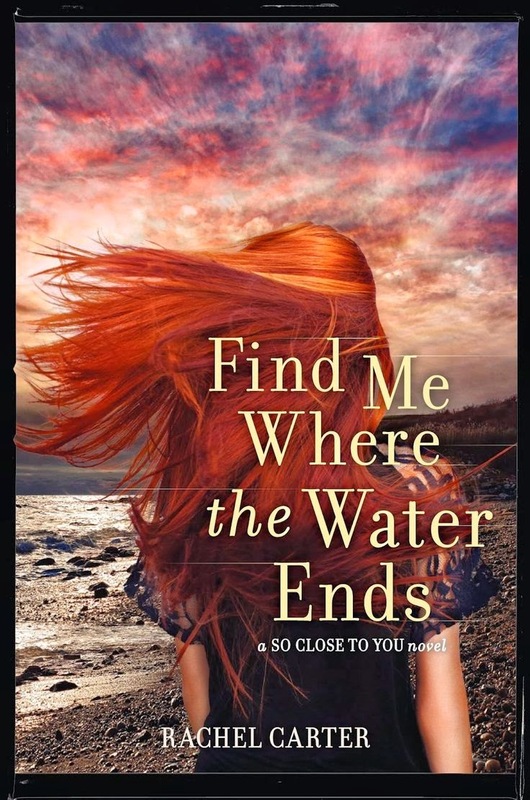 I stumbled across Rachel Carter's So Close to You trilogy pretty haphazardly last summer. I hadn't read the first book in the trilogy (So Close to You), but the second book, This Strange and Familiar Place, was available for autograph at BEA 2013, where I met Rachel Carter. Rachel is one of the sweetest and kindest authors I met there and still one of the nicest I've ever met. I was still a very green blogger then, but she immediately showed interest in my blog, even though I was so new that I hadn't even thought to bring business cards. I really hadn't read a lot of true sci-fi YA books until I came home and purchased So Close to You. There just weren't a lot of them that interested me. But the closet-Trekkie in me loved the concept of this book: playing with time machines, the space-time continuum, trying not to mess up the timeline or alter the course of eternity, the butterfly effect; it all fascinated me. The best part of the series is that it had a great pace. The subject matter could've allowed it to stall out or seem boring, but there is a ton of action, a lot of mystery, and a ton of historical significance. Plus, I'm a sucker for a good conspiracy theory. Rachel really did her research for these books. And it sparked in me a real interest in this topic, which pushed me to do a little research myself -- and the results were a little frighteningly real, which made reading the books all the more pulse-pounding. I could envision this as a reality. This Strange and Familiar Place left off with a real bizarre cliffhanger, one that left me both angry at the leading male character, Wes, but also hopeful for his relationship with main character Lydia, who was forced to join dispicable Montauk Project in order to keep her grandfather alive. I can say easily -- and without spoiling anything -- that this book lived up to the high expectations set in the first two books. It was even more exhilarating than the first two and it was extremely hard to put down. I finished the last 75 pages in under 20 minutes, which is fast, even for me. It's hard to go into detail without spoiling a lot, which I don't want to do -- I want you all to go out and read every book in this series. But I can say that Rachel did a great job of bringing her readers back up to speed and reminding them of the incidents that happened in the previous books without it feeling like she was just regurgitating word for word what happened in the past. It was quick, snappy, and helpful, and not at all a waste of paper or time. As I mentioned before, there was a big cliffhanger at the end of This Strange and Familiar Place. There were some major roadblocks and issues between Lydia and Wes. And I HATE when the following book starts off dealing with the cliffhanger and then settles it in just a few pages. It makes both books seem inauthentic and it makes the cliffhanger from the previous book seem like a cheap way to draw you in. 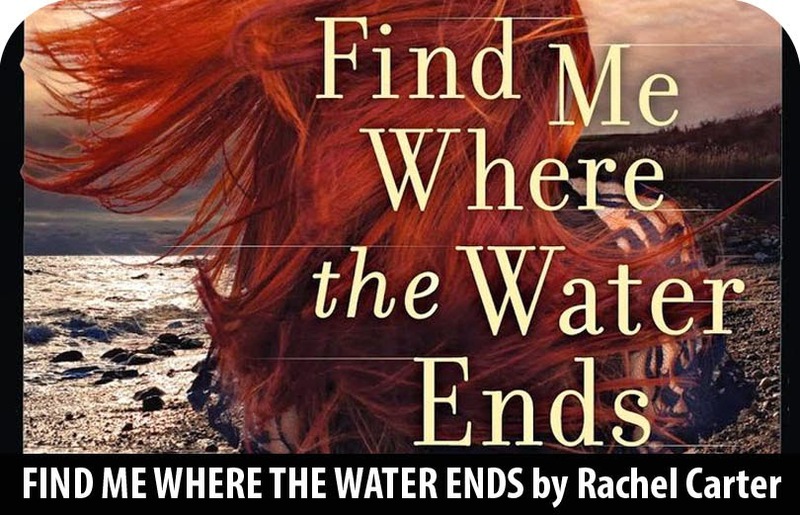 This was NOT the case with Find Me Where the Water Ends. It dealt with the very real issues that Lydia and Wes faced and the fact that these were big setbacks for them emotionally and for their relationships, romantic and professoinal. Rachel took the appropriate time to deal with the magnamity of these events -- not too short, but not so long that it became the entire focus of the book. It was realistic and thoughtful. I also really liked the ending. I was hoping throughout the book that they would find a way to get both Lydia and Wes back to her original timeline, though I knew halfway through This Strange and Familiar Place that it was extremely unlikely and again, would've cheapened the book with an inauthentic ending that was too happily ever after for characters who'd traveled through time so much and were dealing with those ramifications. But even though I hoped there might be an unexpected way to get there, I really liked the actual ending because it was the next best thing and it really was the most realistic and unique approach. It was bold, brave, and still allowed Lydia to remain connected to her family tree. The conclusion for trilogy was really awesome and it earned 4.5 hearts from me. I would not be surprised come January if it is on my list of the top 14 books of 2014.